All the best and fun gadgets for the kitchen are always so stupid expensive!! But winning them is totally FREE! 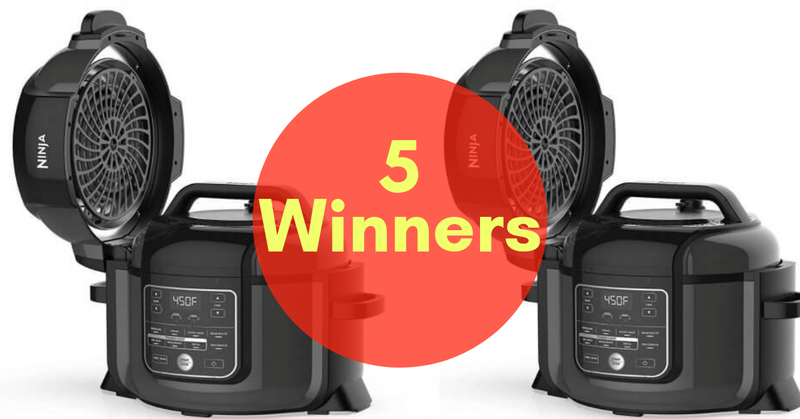 Here is a great giveaway that is giving away FIVE Ninja Foodi Multi-Cooker's. This giveaway takes entries using Rafflecopter, she even included instructions on how to enter using the Rafflecopter platform which is super cool for people just learning about entering online contests. This is a daily entry giveaway. To gain bonus entries leave daily comments on the I Breathe, I'm Hungry blog. The giveaway will be running until February 28, 2019.